The body becomes proficient at burning fat, its optimal fuel source. Muscle and liver glycogen, the major forms of stored carbohydrates in the body, are more effectively amassed and utilized. The size and number of muscle capillaries and mitochondria, the blood vessels and cellular factories that facilitate aerobic energy, increase. VO2 max, the maximum amount of oxygen an individual can use during intense exercise, increases. The more oxygen we can utilize during hard sessions, the higher our VO2 max, and the more power we’ll produce during a workout. What once were ‘long’ runs feel shorter. Faster recovery after running up steep hills or after brief bursts of speed. A desire to do longer events. Personal records are often earned in longer distance races by those new to the volume increase. Confidence grows because we learn to work through fatigue and handle discomfort. Eliminate the variables. Run by time, not mileage. Weather, terrain, altitude, surface, and your mental and physical condition are never the same from one day to the next. Instead of ‘racing’ to get in that last mile, settle into whatever pace the day brings and maintain it until the allotted time is up. Don’t overreach. When beginning a new training cycle (either as a newbie or returning from a break), keep long runs realistic and sustainable. For the first four to eight weeks, maintain a long-run length that’s between roughly 20 to 30% of your total weekly running time. For example, if you run a total of four hours a week, your long run should fall between 50 and 75 minutes. However, depending on your event and goals—especially ultrarunners—once your routine and base fitness are established, long-run length may grow exponentially compared to the rest of your weekly running volume. Eat and drink properly. Hydrate according to the conditions. The amount you consume will depend on your sweat rate, fitness level, and temperature. For runs over 90 minutes, consider carbohydrate supplementation. Aim for 100 to 300 calories an hour. For runs over 2.5 hours, it’s a must. Prevent the ‘bonk‘ by providing your brain and muscle tissue glucose, an easily absorbed source of quick energy that keeps our body running efficiently. Start fresh. Stack the odds in your favor. Starting a long run overly fatigued or mentally burned out is a sure way to a miserable day. Schedule an easy day or two before a long run. Recover properly. Our work isn’t done after the run is finished. Our body grows strongest and adapts best when it’s allowed to mend. Keep post-long run exertions, at least for a day or two, recovery-oriented. Get specific. In order to prepare for the particular challenges of your event, the bulk of your long runs should occur on the same terrain as the goal race. However, don’t let terrain specificity rule your long-run location choices. Occasional variation allows for both mental and physical reprieve. Monitor your effort. The objective of the long run is simply to spend a lot of time on your feet, not to see how fast you can do it. (There’s a time and place for that, but it’s a different workout.) The pace should be easy, but the effort consistent. Depending on the route and your ability level, walk breaks may be necessary. If you use a heart-rate monitor, keep your pulse below 70 to 80% of maximum. If long races and non-competitive adventure runs are on your calendar, you can’t avoid long training runs. They are the most effective way to harden your mind and body to what awaits you on race day. Do you have any tips or tricks which help you successfully through your own long runs? What are the hardest parts of the long run for you? And what elements of a long run come easy? Awesome article with great advice! The only tip or trick that I have is for hydration – carrying enough water is difficult on a long run, especially a non-competitive adventure run through the backcountry. I start by adding about a tablespoon of apple cider vinegar to a pint of water and drinking it before I begin – not sure why, but I find I feel more hydrated for longer and don’t reach for more water as quickly. Also, the Sawyer Mini is a great way to replenish water supplies and the flow rate is high enough to put it inline on a hydration bladder hose – for $20 and 2oz of weight, it’s a must-have! Excellent point. Long runs aren’t feasible without some way to hydrate along the way, long after the water you left the trailhead with is gone. I use Aquamira in a tiny dropper bottle. 15 drops per quart, wait 15 minutes. Not really any aftertaste and I don’t have to worry about anything getting clogged. Super lightweight too. Great information. I had to Google the “Sawyer Mini.” Where I live, Flagstaff, AZ, ambient water is rare and if you do find it it’s usually a stagnant and crud covered cow pond. Sometimes, we set up a makeshift aid station (like our vehicle) and do loops or out-and-backs to replenish our H2O supplies. I’d love to see more analysis and discussion about the ratio of weekly time/mileage that the long run should be. I think having the long run be 50+% is not that uncommon especially with more ‘casual’ ultrarunners, for whom training 6-8 hours a week outside of the long run is difficult to fit into their routine. I agree with Luke. Interestingly, looking back at my log, I see that my weekday mileage totals don’t vary that much, being 20-25 miles total (3-4 runs) of standard planned runs that fit into my busy work days, but my weekend long runs can be 15 to 40 miles depending upon what I am training for at the time. Using time, which I agree is a better measure, the long run is even longer since it is a slower pace. For shorter distances I think yes it would be possible to get away with that (8-10 hrs a week with a 4-5 hr long run). I’m finding personally as I gain more experience that my time spent on interval work seems to be more beneficial, but I’ve also greatly increased my overall volume. Would your “up to 25%” hold true no matter the distance? For example, I am running a 500k in July so are saying my longest “long run” day be roughly 75-80 miles, or would there be a point in which this percentage drops off? This site is an excellent resource, but this kind of comment “It’s the hallmark of distance runners as no other sport incorporates a workout consisting of so many hours of ground pounding, leg beating, and heart-and-lung-busting practice” is pretty frequent. So apart from the “ground pounding” there are plenty of sports which involve the same amount of leg beating and much more severe heart-and-lung busting practice. Rowing, for instance, at the top level might involve an 18k row (90 minutes) then an 18k ergo (another 90), then a weight session (another 90). Do that every day for a week, and 100 running miles in a week seems pretty tame! Similarly cyclists have barely started to warm up at the 3 hour mark, and a 30 hour week is nothing special. Even at cruising pace, that would get you through about 200 miles of running. Make no mistake, distance running is hard hard hard, but I’d argue that the training is actually easier than a lot of other sports. The biggest change I’ve had to make in running is to learn to slow right down, because the intensity at which I used to train on the bike and in the boat was way too high for running. Why this lower intensity yields greater gains in running is a mystery to me, but the perceived effort and fatigue are much lower. Obviously if you include the necessity for “ground pounding” then what you’re saying is that no other sport that involves as much distance running as distance running, which is hardly surprising! Thanks Ollie. Yes, every sport is challenging in its own way. So, this is exactly why I carefully choose the descriptors I did in the opening of this piece. You are correct when you sum it up, “that no other sport that involves as much distance running as distance running.” That’s exactly what I’m trying to impart here and why it’s so important to understand the long run’s nuances. Ollie – I can’t speak to the rowing comments you laid out above as I have absolutely no experience with that sport myself nor have I bothered to research what they do in training at the top level, but I have decades of training and racing experience in both running and cycling, and I feel like you have overstated what cyclists do compared to ultrarunners. Your statements about “cruising pace” on the bike in a 30 hour week being equal to 200 miles of running is baseless and borders on the absurd. Also, if your said cyclist is just “barely started to warm up” at 3 hours, something is terribly wrong with their program, as even regional and national caliber riders could do one hell of a workout in 3 hours that would leave them cooked. I’m also on the opposite side in regards to RPE. I feel like cycling has a lower RPE than running mostly due to the fact that you’re non-weight bearing on the bike and there’s no ground impact forces. Thanks, Ian. 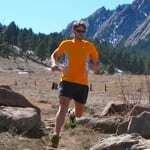 For non ultra runners, who want to increase endurance for races of length 2 hours or less, which do you think is more important: total weekly mileage or length of long run? There are some variables I’ll need to know before answering this question confidently. Rather than carry on the conversation here, I would welcome the chance to discuss your situtation, no strings attached. If you still wish to discuss, email me at ian@sundogrunning.com. Great article and thank you as always. Taking your long run article and extending on it a bit to multi-days. I have done roughly 20 ultras, a couple multi-days and a couple 24 hour races but always wonder what is best for the multi-day with regards to long runs. I have seen so many things out there, but never know which is the “best” advice. I say best, but with the understanding it’s an experiment of one with running. I am prepping for a 500k multi-day in July, and even though it’s a little late now, I would love to hear what your take is for training on multi-day races. Is it best for back to back long runs, late night long runs, or just a single long run. Some say a long run could be just a percentage of your race length, but in races of this length, I am not sure this would hold true, but I am unsure. Your question is good. Not many folks, including myself, have ventured into the multi-day racing and training realm. There are even less resources available (some are now out of print) that offer suggestions and direction for multi-day events. To boot, most of these athletes, even the record setters, were/are self-coached. Maybe some of them can chime in and describe how they train? Roy Pirrung, a past-USA Team member who’s run 243.43 miles in 48 hours and 154+ miles in 24 hours, was focused on high volume as well. Running a mimum of 12 miles in a day and at or near 40 miles for a long run with 20k races included at 5:40/mile pace in the middle of it! I know these guys stand at the extreme of human limits, but they both prescribed to longer back-to-back or back-to-back-to back days in their training preparations. They did have a few relatively lower mile days in between those bouts. They covered roughly 50-60% of their weekly mileage during those 2 to 3 longer days. About three years ago I was 289 pound mess. I have lost 150. My biggest challenge in running long at 55 is convincing my family that it’s okey for me to run long. I have even gone to the doctor and had him write a prescription for 20 miles. He knows I sometimes like to go longer. Sometimes I tell my husband I’m only going to run 4 hours in the morning. But he knows I’m going long when: I have used almost a whole role of Ttap and a tube of chapstick. I have put the crockpot on. I have four water bottles full of fuel and honey packs on my belt. It’s light outside and I’m carrying a flashlight. I have taken two days off from running. Maybe not two days. I love doing Back to back runs. Best of all is I can’t stop smiling and laughing.